· To develop the sense of importance of adventure sports among Africans. · To collect and publish authentic information regarding natural sites in Africa. We are an African adventure firm that runs pure thrilling adventure tours such as camping, hiking, mountaineering and wilderness expeditions. We are the first startup in Nigeria to pursue pure adventure tourism in a place where the culture is practically non-existing. We have succeeded over the years to cultivate an adventure culture in Nigeria by first building communities that can fuel this new crave. Adventure tours are mostly stressful but rewarding tours. The trips are not designed to shield you from the realities of life in the places we will be visiting, in fact most places we visit in Nigeria and beyond are remote and still having tourism in its infancy. We keep our tour group as small as possible to carter and carry everyone along. Usually a group of 5-15 people. We do this to create a unique experience as it is easy to carter and work with small groups. Leave the planning to us and we’ll leave the adventuring and growth to you. Our specialists can plan a comprehensive program that matches your needs, your interests, your timeline and your budget. Trust me there a lot of places in Nigeria and beyond that fit into your budget. We also offer customized adventure packages for private entities and corporate companies looking for team building training and memorable outdoor experiences. Blades is the Founder of Naidrenalin Adventures and avid adventurer with huge outdoor experience home and abroad, he has been promoting local tourism especially among Nigerian youths through this platform ”. He is also a Russian trained Aeronautical Engineer, a trained photographer and travel contributor to many travel magazines such as :The Guardian Newspaper Nigeria, The spark, BackpackersMag, CometoNigeria. joined the firm during it’s infant stage and has since proven himself to be an indispensable team member. He has participated and coordinated close to 50 expeditions in various outdoor terrain since joining Naidrenalin Adventuress. He currently works at the Ministry of Art and Tourism. 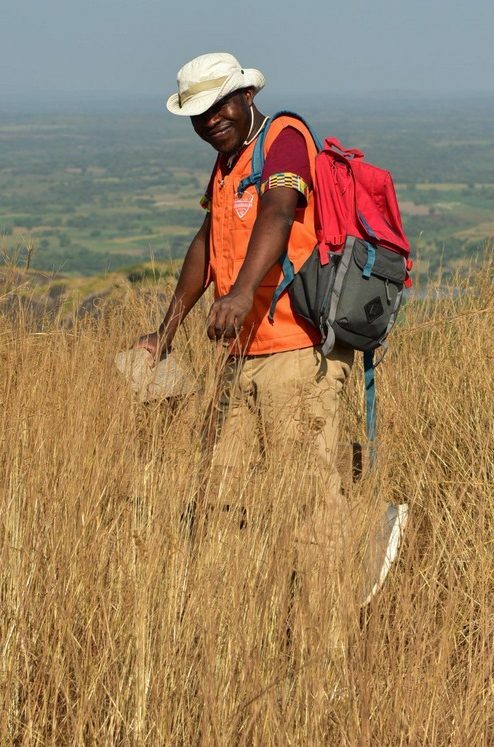 Favourite adventure experience – Hiking the toughest hills in Abuja. Out of 80 people only 5 people made it to the peak. I was among the 5. If I had a superpower it would be – Make River Niger flow on cold beer. 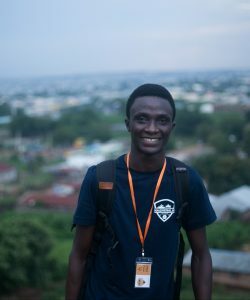 relentless outdoors-person and Nigerian nature and wildlife photographer.His photography has been featured on National Geographic and TVC. His photos also has been recognized by Nikon MEA. He is on a mission to revive nature conservation and eco-tourism through his brilliant and unique photography. 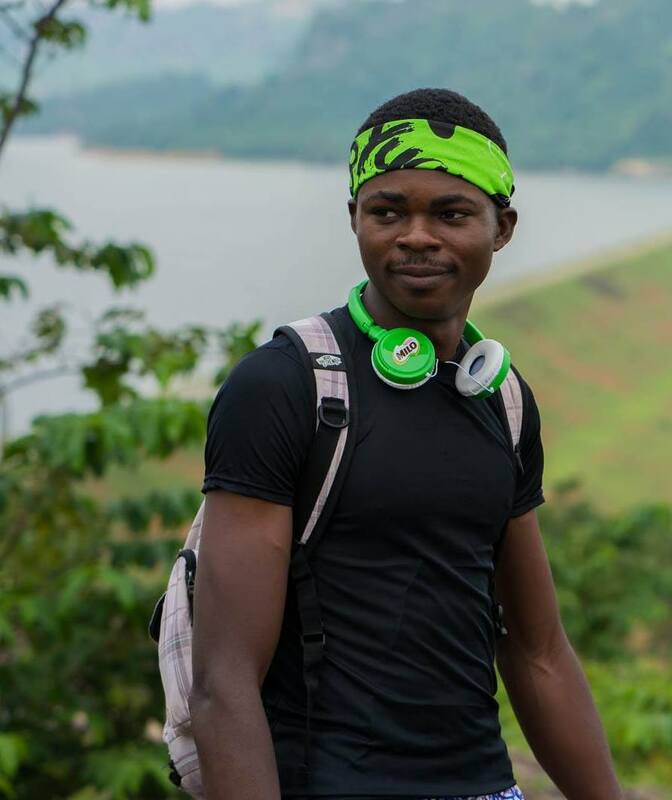 His love and passion for adventure and the Nigerian outdoors is one of the first things people see glowing through his photos. 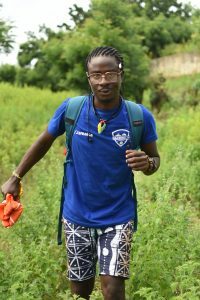 Favourite adventure experience – Hiking about 40km across Nigerian south western States in three days. Trained first aid person and professional member of the Nigerian Red Cross. He provides first aid services and CPR training during hikes . While safety always begins with prevention, not every advenure-related injury can be prevented. He gives adventurers the necessary tools and information they need to care for an ill or injured person, if necessary, until advanced help arrives.